TOKYO (AP) — A giant crane removed two fuel rods from the damaged Fukushima nuclear plant Wednesday, starting the long and delicate process to reduce the risk of more radiation escaping into the environment. All of the 1,535 rods in a spent-fuel pool next to reactor No. 4 at the Fukushima Dai-ichi plant in northeastern Japan must eventually be moved to safer storage — an effort expected to take until the end of next year, according to the government. 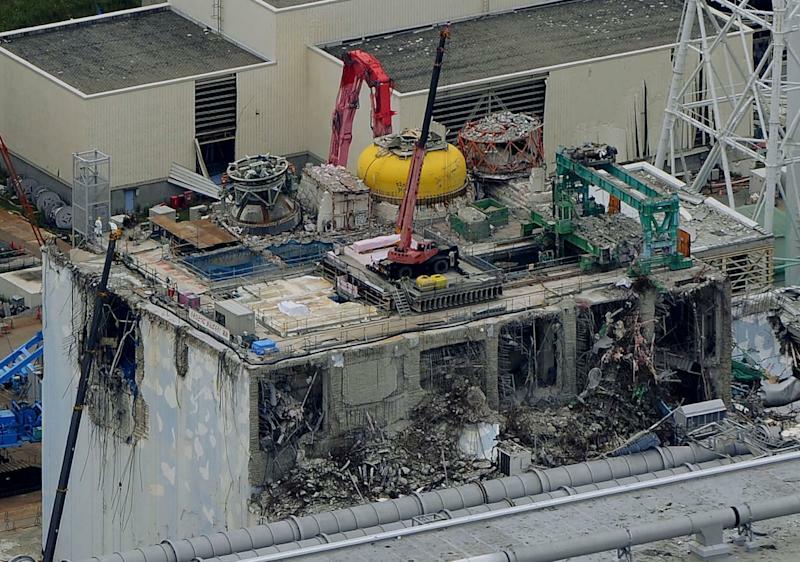 The building containing the pool and reactor was destroyed by an explosion following the failure of cooling systems after a massive earthquake and tsunami on March, 11, 2011. The cores of three reactors melted in the world's second-worst nuclear disaster after Chernobyl. Fears run deep about the large amounts of radioactive material stored in the pool, which unlike fuel in the cores of the reactors is not protected by thick containment vessels. Japanese TV showed cranes removing the 4-meter (13-foot) rods. Plant operator Tokyo Electric Power Co. declined comment, citing the need for secrecy in handling nuclear material. According to a worst-case scenario prepared by the government about Fukushima's conditions, a loss of coolant in the spent-fuel pool at reactor No. 4 could have caused a massive release of radiation and forced millions of people to flee. About 150,000 residents fled after last year's nuclear disaster, and a 20-kilometer (12-mile) zone around the plant remains off limits. A year and a half after the disaster, the pool's cooling system has been fixed and reinforcements have been built. But TEPCO recently said the wall of the building is bulging, although the pool has not tilted. Hiroshi Tasaka, a nuclear engineer and professor at Tama University who advised the prime minister after the disaster, said the spent-fuel pool poses a danger because the building is not sufficiently secure to stop radiation escaping in the case of a strong aftershock. Tens of thousands of aftershocks have hit the region, and a number have been magnitude 6 or stronger. The two rods removed Wednesday are among 204 that have not been used to generate power and are not as prone to releasing radiation as the 1,331 spent-fuel rods also sitting in the pool. Tasaka said the government target of removing all the rods by the end of next year may prove too optimistic because of many unknowns, the need to develop new technology and the risk of aftershocks. 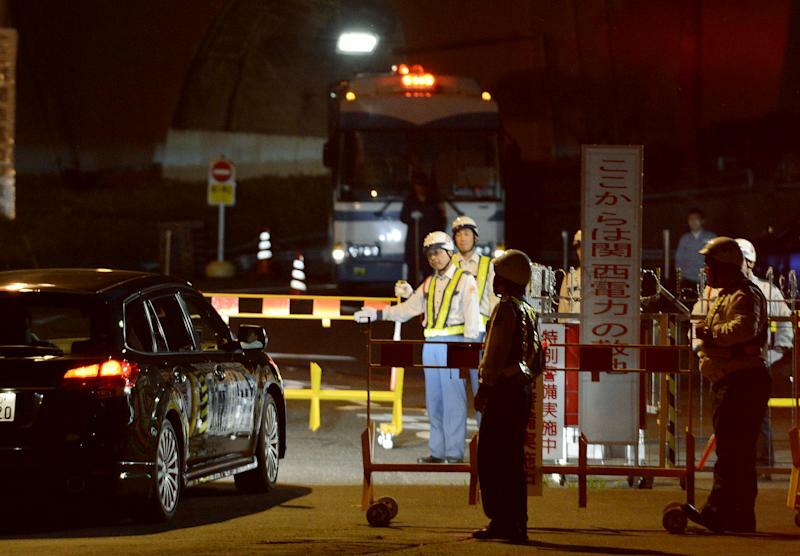 Separately, a second reactor at the Ohi nuclear plant in central Japan went online Wednesday. The two restarts are the first since the Fukushima disaster spurred safety checks at all 50 of Japan's working reactors. Tens of thousands of people protested in the streets Monday demanding an end to nuclear power, outraged by the restarts. It was the biggest rally since the Fukushima disaster. Also Wednesday, the government ordered two utilities, Kansai Electric Power Co., which operates Ohi, and Hokuriki Electric Power Co. to restudy earthquake faults that lie beneath their nuclear plants.